It has been tradition that the boyfriend, Paolo celebrates Christmas with me & my family. However he wasn't able to make it this year (but HE went to our house, 12:12am of Dec 26 sayang di umabot!) so we decided to just go out on a date the next day. We also make sure that we watch at least one MMFF film annually so we decided to watch Asiong Salonga at Rockwell. 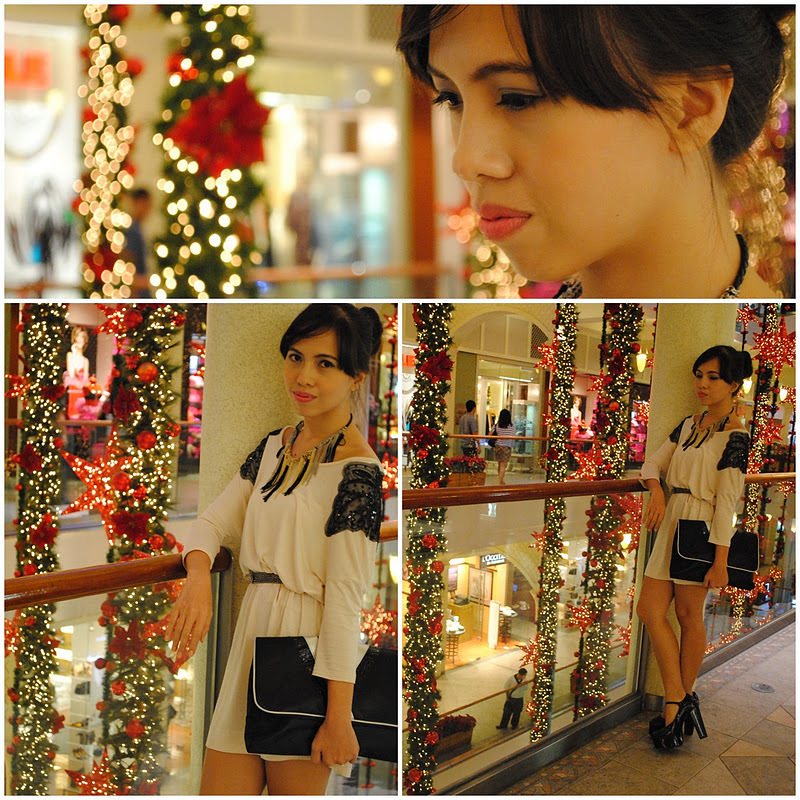 Apparently, Paolo liked Rockwell's holiday fixtures and he wont stop taking shots. Haha! After watching Manila Kingpin, we head over to Cibo for some Italian dinner. 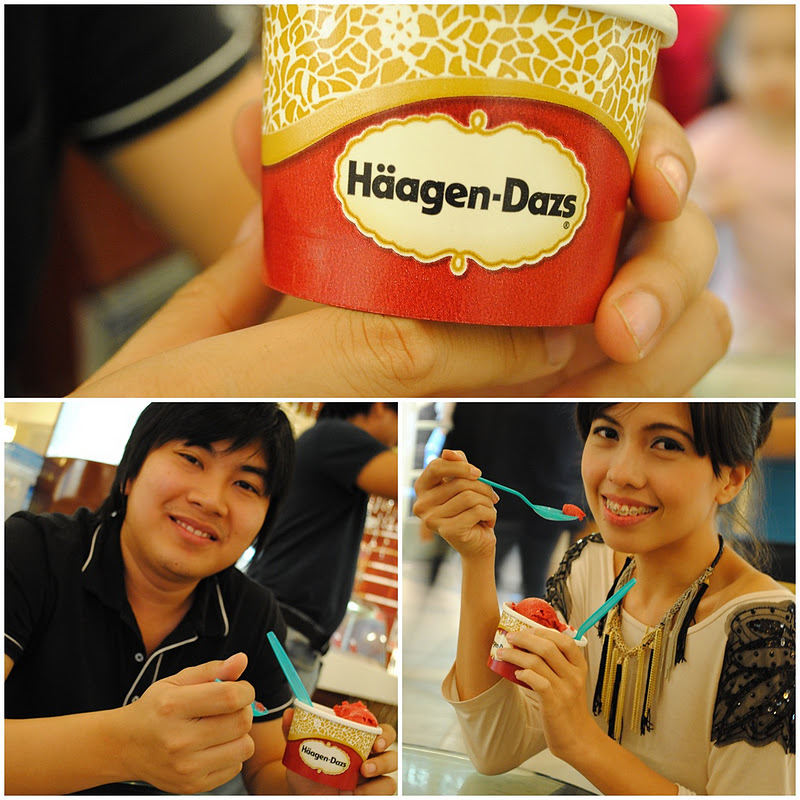 Funny how I remember telling Pao months ago that in the 7 years that we're together, he never treated me to Haagen-Dazs. Since then, we often eat our dessert at this posh ice cream store. It was one of those cute, parang-college-lang-uli kind of date. I would not bother dressing up cause I spent a sweet day with a special someone (haha, I'm being defensive). Anyway, the movie, Manila Kingpin was great in terms of cinematography & screenplay. However, the lead character was poor in terms of acting. If the actor was different (Robin Padilla-- my bet) it could have been a blockbuster. Anyway, Don't forget to hype my look in lookbook! aaaw. thanks eden! <3 yeah i heard they dont stock that much because they're not a shoe brand daw..
Omigoodness the pumps! I want one!! Was the MMF movie that you watched good? I also wana watch at least one this year. Love love your necklace and dress! so pretty!